SOMETHING THIS GOOD DOESN'T COME ALONG EVERY DAY! Don't miss your opportunity to own this meticulously maintained townhouse at pet-friendly Riverview. Warm & welcoming, fireplaced living/dining rms w/open concept. Fully applianced kitchen w/1/2 bath off, leads to back door & classy brick paver patio. 2nd level offers 2 good-sized BR's, 2 full baths, new carpets, lots of closets & 2nd flr laundry. Spacious 3rd flr loft w/skylights & new carpets, offers the possibility of 3rd BR/guest rm, office and/or play rm w/plenty of additional storage! This additional space is priceless! All baths w/new granite vanities & dovetail cab doors. New gas furnace & A/C 2015, water heater 2016. Fresh paint. The list goes on... See Upgrades & Improvements list! Relax on your private patio on spring and summer nights. Storage shed. 1 assigned pkg spot directly behind unit & plenty guest pkg. 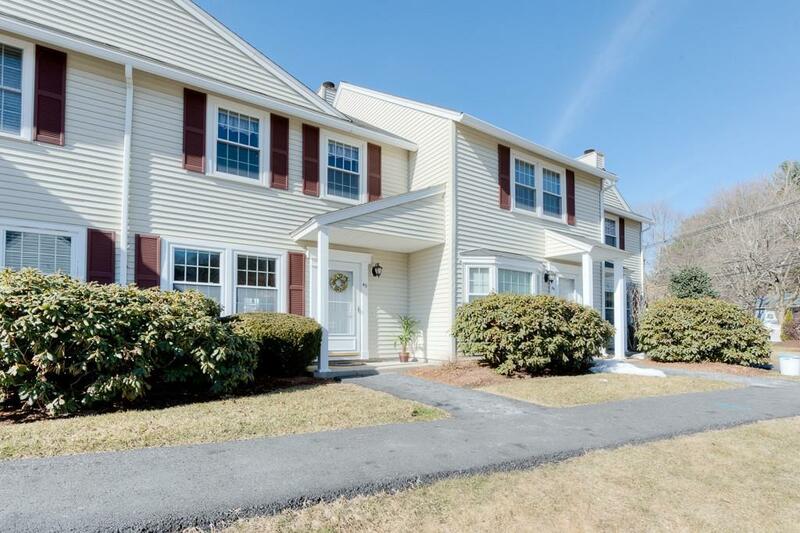 One of the best commuter locations, mins to Commuter Rail, MA Pike & major routes. Must see to believe! Awesome!